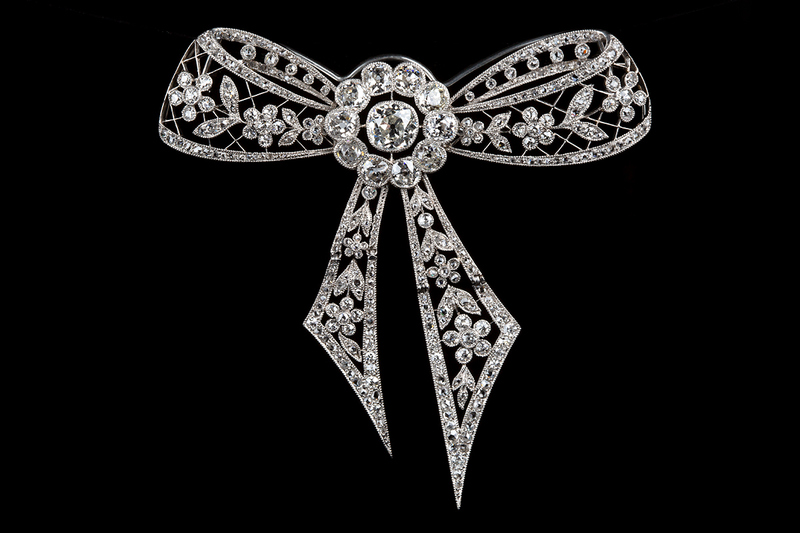 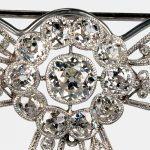 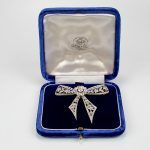 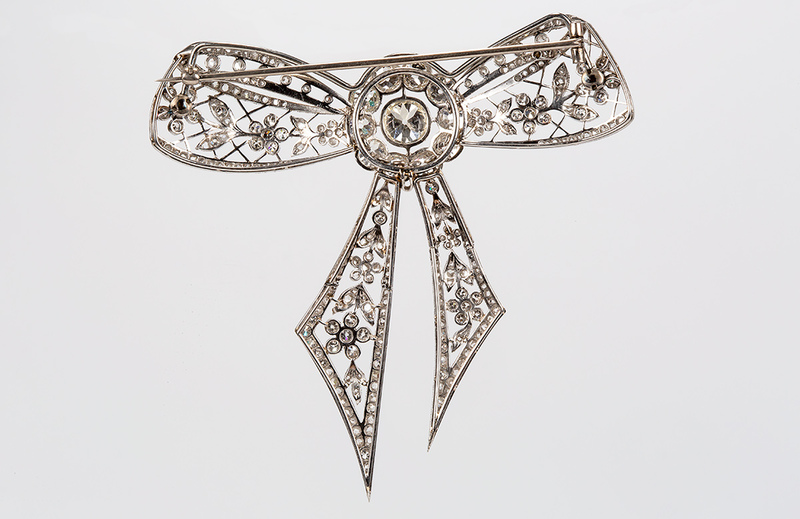 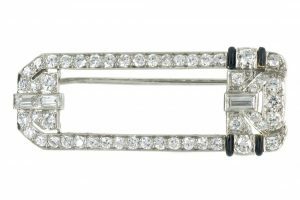 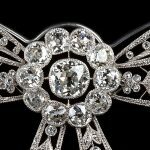 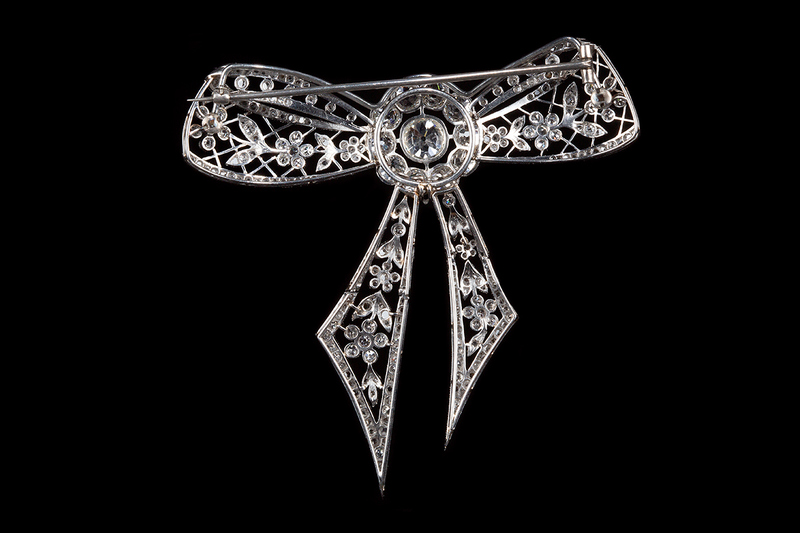 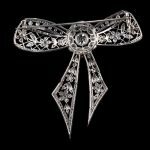 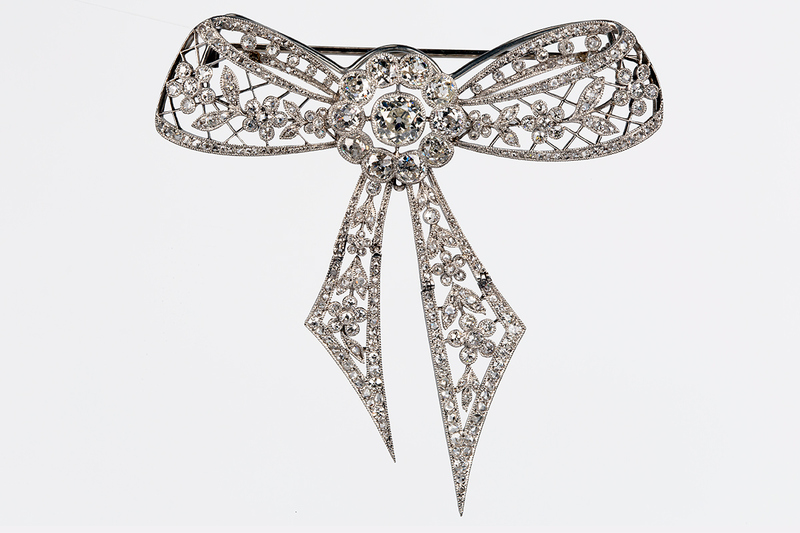 A fine antique brooch in platinum set with brilliant and rose cut diamonds. 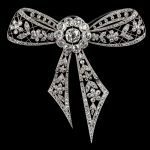 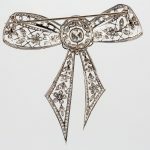 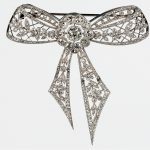 The delicately detailed lace design is in the shape of a large tied bow. 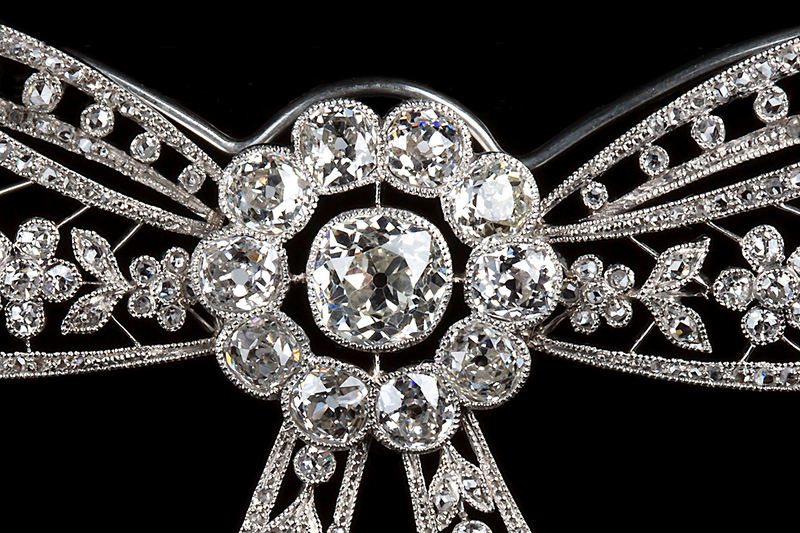 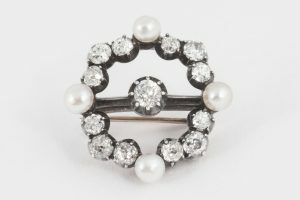 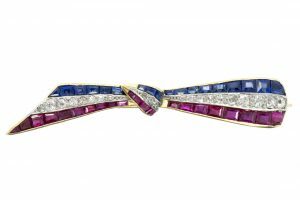 The knot is represented by a stunning central diamond cluster which measures 15mm across. 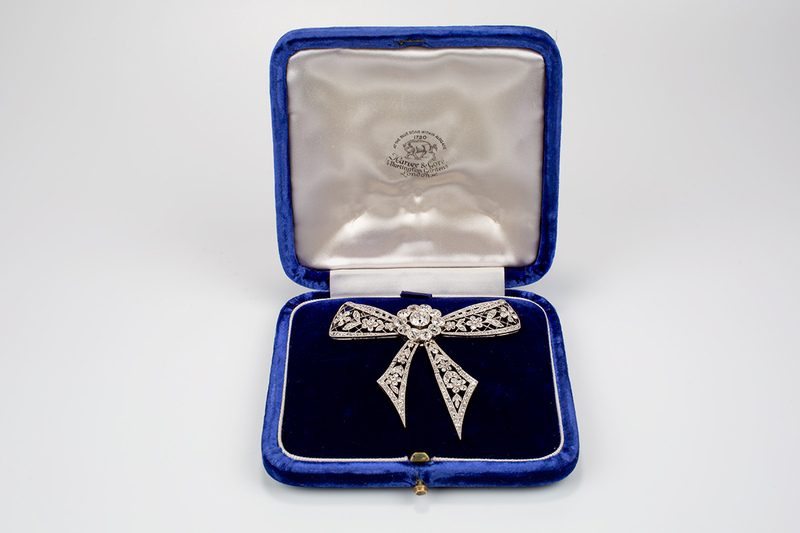 Fitted in its original case. 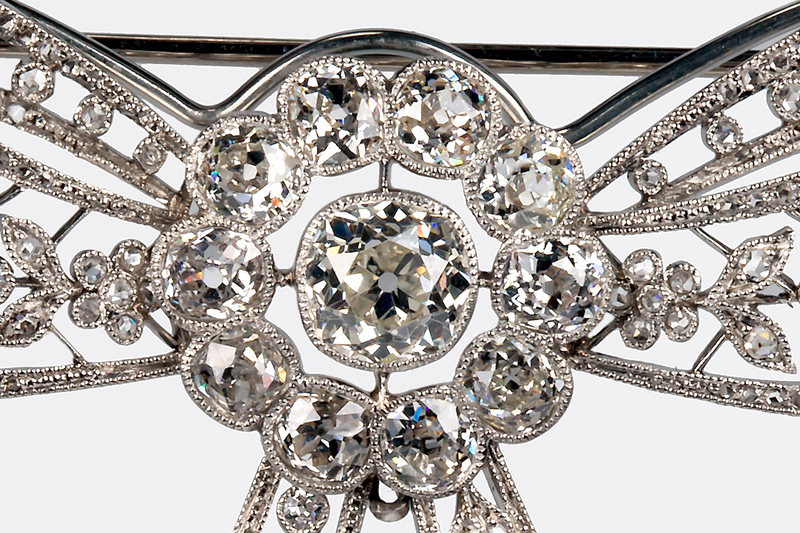 Total diamond weight approximately 11-12 carats. 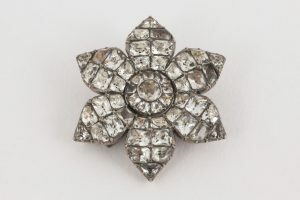 Measures 7cm in width x 7cm in height.